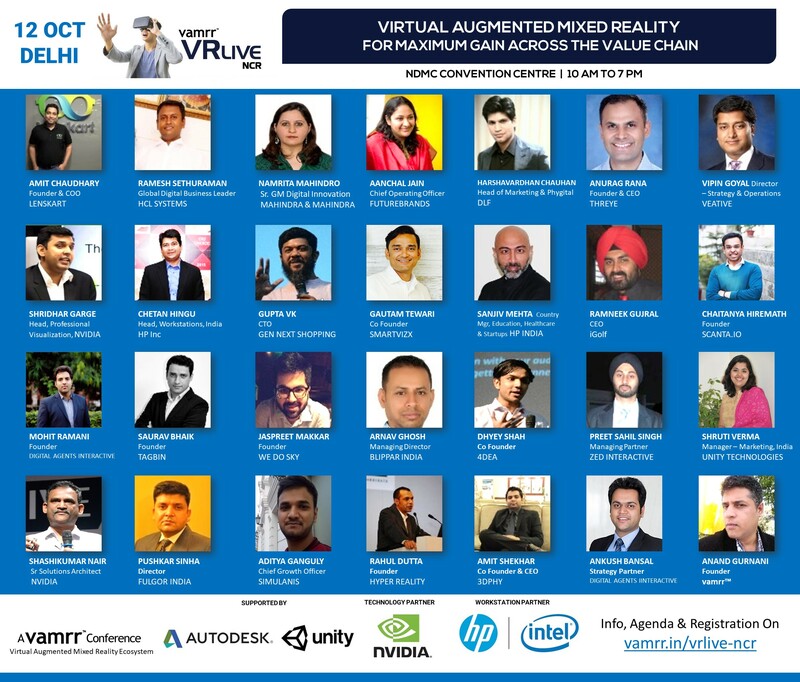 Conference that brings the most cutting edge developments in Indian VR AR MR under 1 roof. Live Demos | Industry Networking with 200+ Delegates | 20+ SPEAKERS & TOPICS | Dedicated sessions for Developers | Designers | Founders & CXOs | Marketing & Consumer Experience Professionals | Immersive Learning & Training professionals. The content has been put together under different tabs below so you can easily find the topics of interest to you. The bottom section of the page after the content has the (free) registration form. Fill in the details and we will mail/call you to confirm your registration. 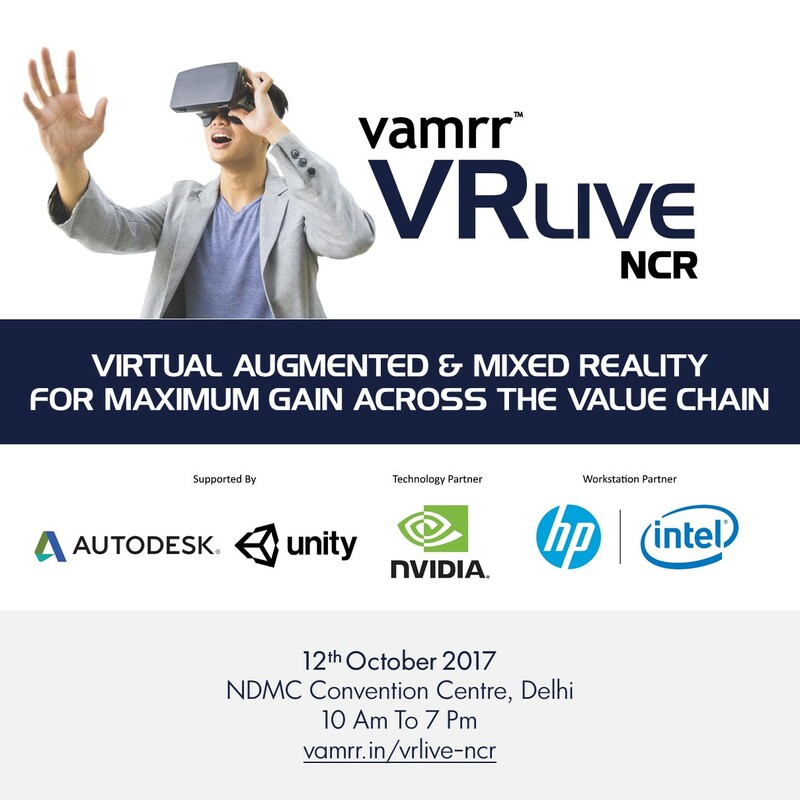 See you on 12th October at vamrr VR Live! Registration opens 9.45 AM | Come early and experience VR AR MR demos. Participate in Open Mic. Demos will be on all day. Lunch on Level 2 of the Convention Centre. Network with more than 200+ Pioneering Innovators, Early Adopters, Enterprise Decision Makers & Investors throughout the day long conference.